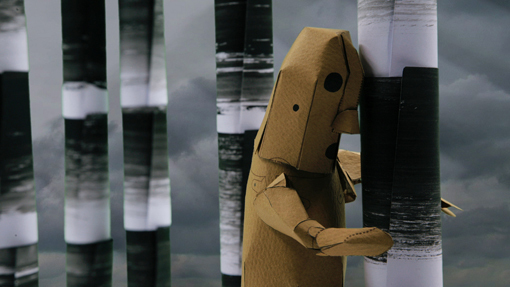 an animated short inspired by traditional Japanese Haniwa sculptures. 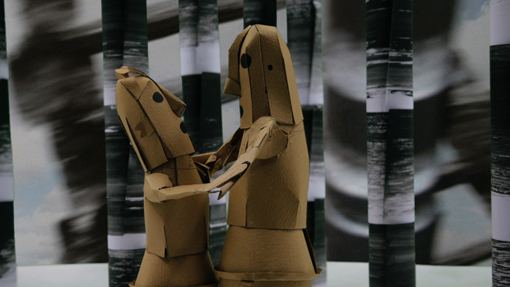 Two paper figures share their life dancing…until the inevitable happens. 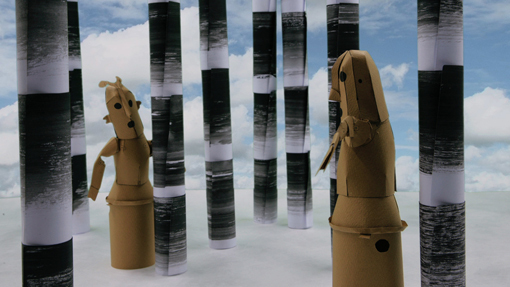 In the film two paper models of Japanese Haniwa clay figures from the 6th century come alive. 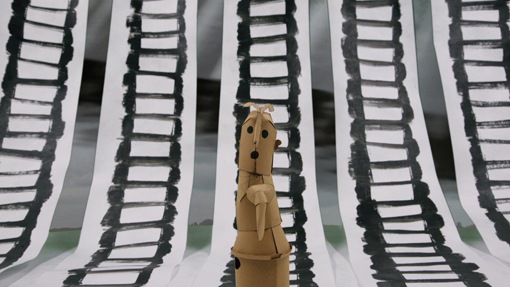 The original sculptures are called “dancing people” and are on display at the Tokyo National Museum. Haniwa (which means ‘circle of clay’) are cylindrical terracotta clay figures that were made for ritual use during the Kofun Period in Japan. They are hollow sculptures that decorated the surface of the monumental mounded tombs built for the Japanese elite.